Snail farming is a highly lucrative business providing a means of livelihood to millions of people globally. Equally as rewarding as goat farming, fish farming, poultry farming and pig farming. Snail farming in Nigeria is even more popular; due to its relatively cheap cost of startup and huge returns on investment. It is a highly lucrative agricultural business idea. One that you need to invest your money right now. 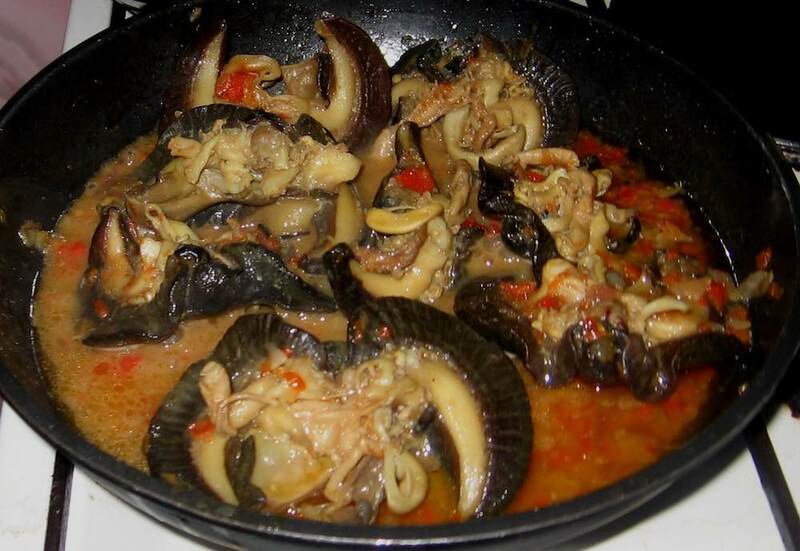 Do you know that over 500,000 tons of snails are consumed per year, including America and China? In Asia, snail rearing is big business, providing opportunities to many farmers. Much of the harvest is exported to other developed countries in Europe and America. This isn’t surprising since Snails are good sources of essential minerals including phosphorus, calcium and iron, and sodium. They are also rich in protein and low in unhealthy fat. Besides, they make for a delicious meal and will keep you wanting more when prepared by a pro. Compared to poultry or fish farming, snail farming is less technical and much easier to start. It is a potential work from home agricultural business idea. It also requires less manpower such that one person can comfortably manage large pens of snails. Also, there are many alternatives to snail feeds, thus eliminating the cost of buying expensive snail food. It is one farming business idea that I love so much. Nonetheless, snail farming isn’t without its own challenges and we will go into details in a jiffy. 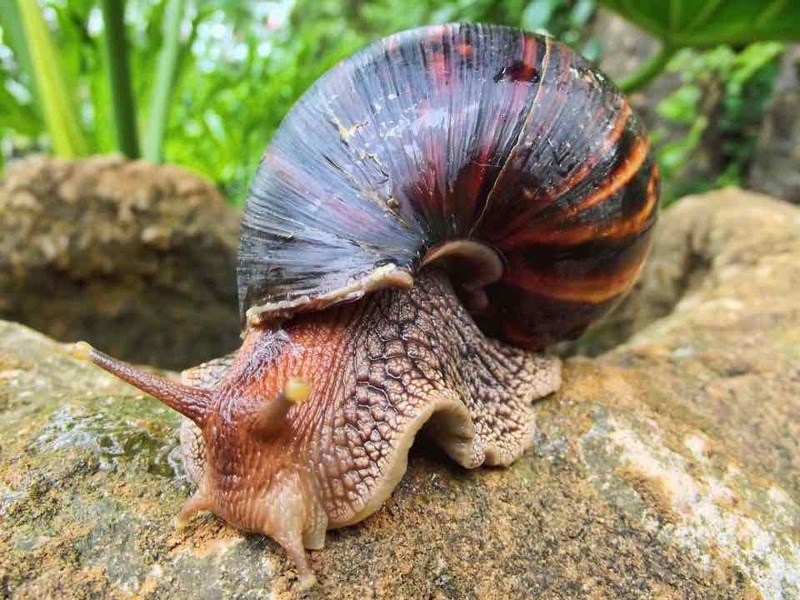 ⇒ There are different kinds of snails including land snails, sea snails, and freshwater snails. In fact, over a thousand species of snails have been documented. ⇒ Snails belong to the animal group known as Phylum Mollusca because they do not have backbones. ⇒ Common snails are herbivores and feed on decaying vegetation, algae, fungi, lichens and plant leaves. ⇒ Snail farming is known as Heliciculture (also known as heliculture), and it entails raising land snails specifically for human use. ⇒ The “giant tiger land snail” also known, as “giant African snail” is the largest land snail in the world, their length can reach up to 12 inches. ⇒ Giant Apple Snail (Pomacea maculata) is the largest freshwater snail, with a shell 15 cm (0.5 ft) and weighing 600 g (1.5 pounds). ⇒ Snails can live up to 5 to 10 years. Some have been known to live up to 15 years. ⇒ Snails are hermaphrodites (Having both male and female reproductive parts). Therefore, they can produce sperms and eggs at the same time. However, to fertilize the eggs, the snails need to exchange sperms with each other. ⇒ About a month after mating, snail lays about a hundred small white eggs in a nest underground in damp soil. If the conditions remain suitable for the eggs, snails will begin to hatch after about 14 days. ⇒ It takes about two years for snails to reach full maturity. 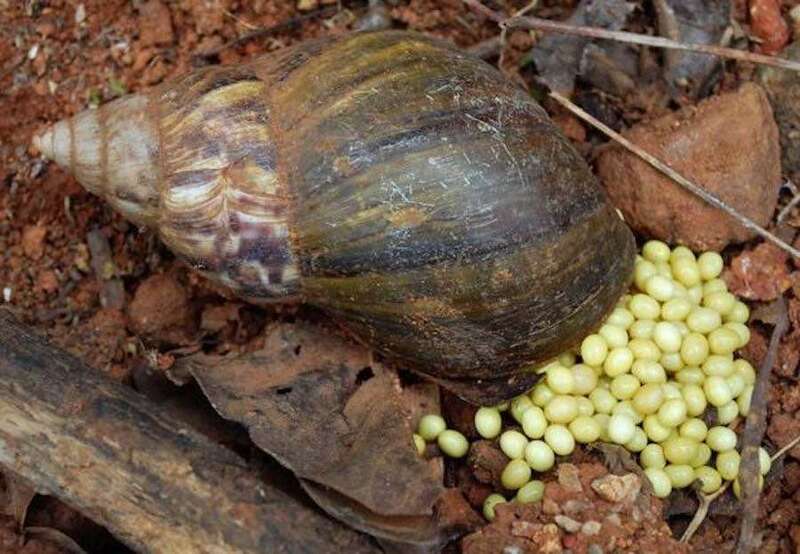 ⇒ The giant African snail (ACHATINA ACHATINA) species of snails, lays between 200-400 eggs in one batch 2-3 times a year. Good for business, right? It is also the largest snail you are most likely ever going to see. ⇒ Snails have many natural enemies such as the ground beetles, snakes, toads, turtles, and birds including chickens, ducks, and geese. ⇒ Snails’ bodies produce slime. Because of the thickness of the slime, they can crawl across the edge of a razor and not get hurt. Cool, right? ⇒ Snails are nocturnal animals (they are more active at night). ⇒ The fastest snails are the speckled garden snails, which can move up to 55 yards per hour compared 23 inches per hour of most other land snails. ⇒ Snails have up to 14,175 teeth! They are all located on their tongue (radula). ⇒ Snail slime is used in some beauty products. Which snail species are suitable for snail farming? It is a species of large, air-breathing land snail belonging to the family Achatinidae. It is the most commonly available and widespread type of African land snail and also the smallest in size among all the desirable species for commercial snail farming. Achatina Fulica has a narrow, conical shell, which is twice as long as it is wide and contains 7 to 9 whorls when fully grown. 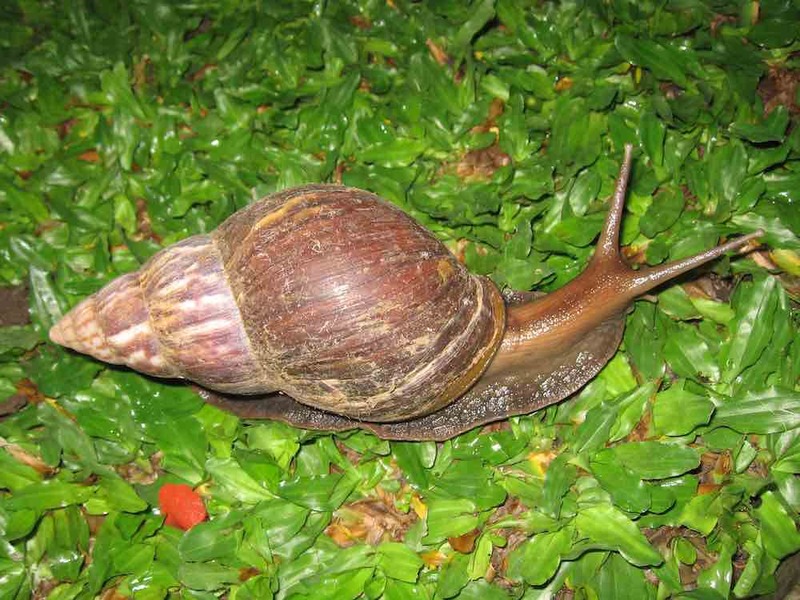 The shell is generally reddish-brown in color with weak yellowish vertical markings but coloration varies with environmental conditions and diet. Average adult shell length is 12cm, with a diameter of 6cm. Most of the growth is achieved within the first 6 months but they do continue to grow for another year or so. They lay up to 30-1000 White/Yellow eggs, 4-5mm in diameter, up to 6 times a year. They are commonly known as the giant African land snail. They are the largest land snails in the world and also the most widely sought after species. Average adult shell length is 18cm, with an average diameter of 9cm. They may possess between 7-8 whorls and the shell is often broadly ovate. The body of the animal is silver-brown in color although albino morphs may exist. Giant African land snails are hermaphrodites. They lay between 30-300 eggs per clutch and under normal, stable conditions the hatching viability appears to be 90+%. They live up to 10 years, usually 5-7. 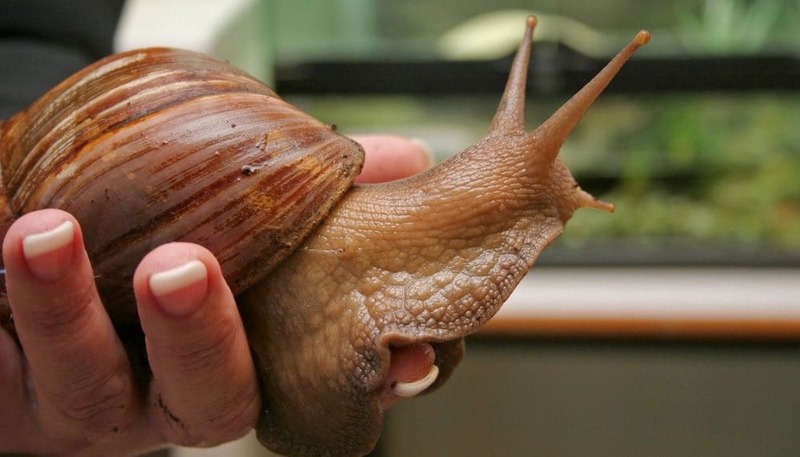 Popularly called the giant West African snail. Average size and lifespan are 16cm long and live 5years respectively. Of the three species listed above, Achatina Achatina is the most popular snail species for commercial snail farming globally. It has a relatively high yield capacity. Thus giving room for increased yields. Therefore, if you start a farm with about 2000 snails, it is possible that you would have about 2.5 million snails in just 2 years. So, when starting your commercial snail farming business, there are some important things to keep in mind. Snail farming is simple enough, but it actually requires a decent amount of knowledge because snails require patience and tender care. Snails have a tendency to become easily dehydrated, so they need a place that will help them retain moisture. Building a snail house (called a snailery) in the right location will make a drastic difference for your snails. It’s best to build your snailery in a low area with minimal wind and sun exposure. The Wind increases moisture loss in snails, drying them out. Too much sun exposure also leads to drying out. Snails need moisture in order to survive and remain fertile, so building your snailery in a cool, shaded area will help keep them healthy and thriving. If you don’t have a shaded area or one that is protected from the wind, you may want to consider planting trees or bushes around your snailery to help protect it from the elements. The main component of a snail’s habitat is the soil in which it lives. The soil is where snails get the nutrients and substances they need to survive. The right type of soil can help keep snails hydrated, provide a safe place for snails to lay their eggs, and provide vital nutrients such as calcium to keep snail’s shells intact and healthy. If you’re planning on using regular potting soil, you may want to add some substrates to it in order to improve its quality. The two best substrates you could add would be loam or humus. If you’d prefer, you may also use these substrates as your main soil type. The right type of soil will be well balanced. This means it will not be too wet, too dry, or too acidic. For these reasons, you should avoid materials such as clay, pebbles, and added fertilizers. The type and size of the snailery you build will largely depend on the breed and amount you’re planning on raising. Snail farms can be extensive, intensive, or semi-intensive. Whichever type you choose will have to be escape-proof, since snails reproduce quickly and can become pests when they get out of hand. One option for your snail farm would be to dig a trench and cover it completely with screen or wire. You may also choose to build a structure from concrete, wood, or other materials, making sure once again to completely cover it with wire or screen. You will also need to make sure you have at least ten inches of soil. If you prefer not to use wire, you can choose to build a covered box. Snails are a lot stronger than you might realize, though, so make sure the box is secure to avoid having your snails escape. With any type of snailery, it is important to implement strategies to keep your snails safe from predators. Keeping their environment covered will protect them from large predators such as rats and snakes. However, you may want to treat your soil so you can protect your snails from small predators such as beetles that may be undeterred by these coverings. While there are markets that offer snails you can purchase, you may want to be somewhat leery of them. Some markets are reputable, but many of them don’t take the best care of their snails. You’d hate to get your snails home, just to discover they’ve become dehydrated and are no longer fertile. One option you have would be to forage for snails in the forest. Snails are plentiful in the wild and for the most part, they’re healthy and ready to reproduce. This tactic may take some time to get the results you’re looking for, though, so another option would be to try to draw snails to your property. You can do this by finding a clear area of soil and sprinkling foods that snails enjoy over said area. We’ll cover snail food in the next section. Another alternative option to buying snails at a market would be to start with snail eggs. This method will take time and patience, so you won’t be able to harvest your snails for some time. Eggs can be found in markets and stand a much higher chance of still being fertile than full-grown snails. The eggs will need to be put in wet sand and covered with a cocoyam leaf. The eggs will take a little less than a month to hatch. Snails eat a variety of foods, ranging from leafy greens to spicy fruits. Some acceptable foods for snails include pears, cucumbers, cabbage, and lettuce. You may choose to buy snail formula available in markets, though it’s not a necessity. However, snail formula is good because they usually contain a good amount of calcium. Alternative sources of calcium include cuttlefish bones, natural chalk, ground oyster shell, burnt and ground snail shell, poultry egg shell or bone meal etc. Be sure to change the types of foods you feed your snails every once in awhile as snails are prone to food boredom. Snails should be fed on a daily basis, and uneaten food should be removed within 48 hours. Leaves: Pawpaw, cocoa yam, cabbage lettuce, okra, eggplant, and cowpea. Fruits: Pawpaw, mango, banana, plantain, eggplant, avocado pear, oil palm, tomatoes, cucumber, sweet orange, guava, pineapple, coconut, breadfruit, cashew, and watermelon. Tubers: cooked cocoa yam, cassava and white yam, sweet potato. Household Wastes: peels of banana, plantain, pawpaw, pineapple, cassava and rice, cowpea bran. Food Concentrate: It should contain carbohydrate, protein, fats, Mineral (calcium) and Vitamins. Water: Clean water should be available at all times. Avoid the use of chlorinated water (tap water) or water that ha been polluted with insecticides, herbicides or fungicides. Maturity takes 2 years. Only matured snails should be harvested. Check the brim of the shell. For matured snails, the brim is thicker and harder than other parts of the shell. Do not harvest all the matured ones for the market. Keep a few for breeding and to serve as the base stock. Termites, lizards, snakes, ants, chickens, geese and turkeys are the common enemies of snails and should be prevented by all means. If a large army of soldier ants discover your snail farm, you can lose all of your snails in just one day. Also, you can expect as much as 10% mortality in the wet season. In the dry season, mortality can be higher. Also snails are very moody creatures and when you have overcrowded them, they usually resort to cannibalism. Do your best not to overstock. There are not many diseases identified in snail but fungus and bacterial diseases which are spread by contact have been noticed in overcrowded pens. Ensure that your snails live in a clean, fresh, damp environment. Wash their food clean before you give it to them. Remove all old food and feces every day. Give your snails calcium supplements to facilitate their growth. Clean the tank or any housing material when it begins to get dirty. Once a month will do just fine. Change the soil substrate when it starts to look dirty (roughly once a week, depending on the number of snails kept). 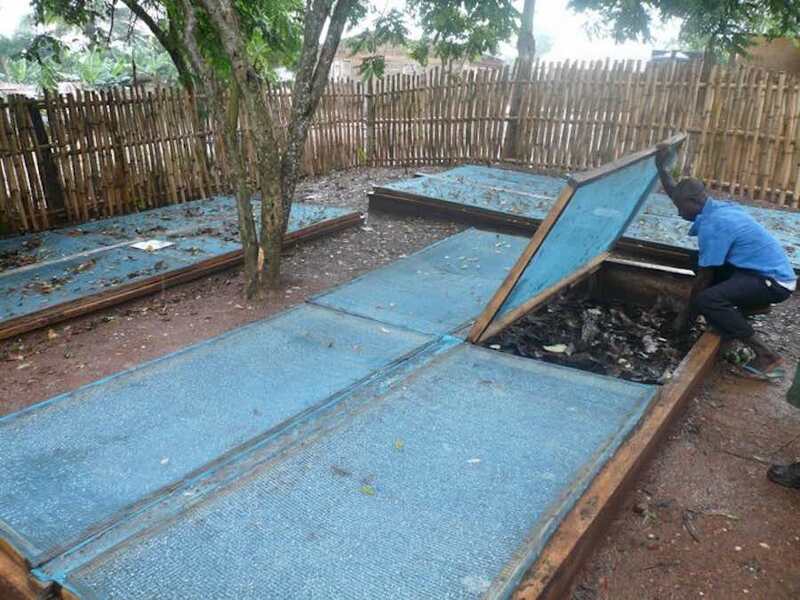 In the dry season, it will be ideal to irrigate the snail farm regularly or else the snails will hibernate. And when they do, it can last for months. 1) Snail farming in Nigeria isn’t as common as poultry farming and other livestock farming. Consequently, competition is less. 2) Unlike other animals, snails don’t fall sick so easily. In fact, not much is understood about their diseases that affect snails. So, the chance of losing your snails to an epidemic is little to nothing. 3) It is not a low-cost business. Snail farming can be commenced within your own house until you have enough to purchase a piece of land for that purpose. 4) The demand is huge. Snails are not only kept for food but have also found so much usefulness in the Pharmaceutical and beauty industries. 5) Snail farming isn’t as stressful and time-consuming as other forms of farming. You can keep your day job while conveniently running your farm. 6) Snail farming in Nigeria causes less pollution compared to poultry farming. The smell and noise from poultry farms are more than enough to put people off. This does not apply to the snail farming business. With these tips, you’re now ready to get started on your commercial snail farming business. Keep in mind that snails generally take about a year to reach maturity, and it’s best to not harvest snails prior to this stage. You can check for maturity by looking at the brim of a snail’s shell. If the brim is thicker and harder than the rest of the shell, then a snail is ready to be harvested. If snail farming isn’t the way for you, here is a post detailing the 101 best small business ideas for potential entrepreneurs. Remain patient and take good care of your snails.